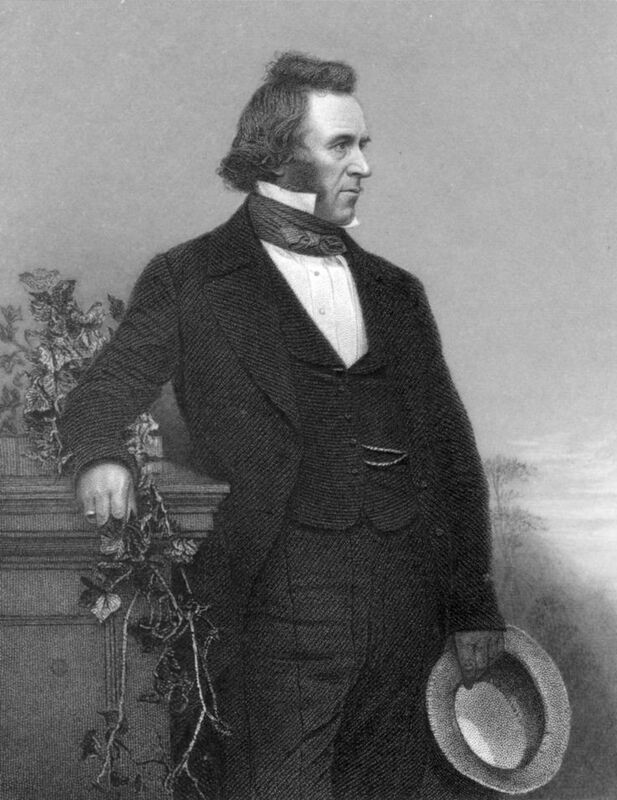 Joseph Paxton designed the first public park in 1847. He was born in Bedfordshire, England on 3 August 1803 into a farming family. 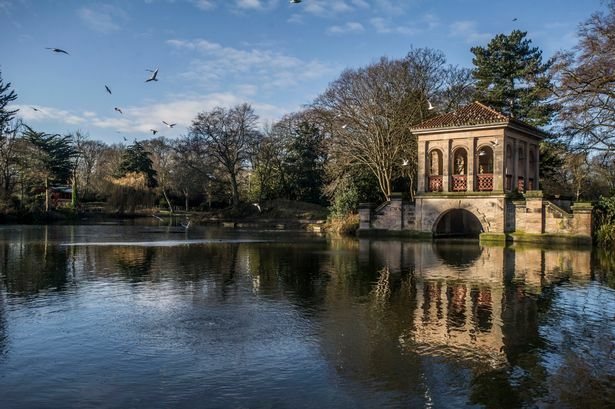 Birkenhead Park is famous as the first public park in the world and has inspired the design of many other parks in Britain and around the world. It was the first public park created by a local authority and using public funds. Birkenhead Park was the forerunner of the Parks Movement and its influence was far-reaching both in this country and abroad. New York's 'Central Park' was directly inspired by it and copied many of its features. It was designed by 'Sir Joseph Paxton' and opened in '1847'. It soon became an instant economic and social success. Paxton's concept was to create an idealised countryside landscape of open meadows and naturalistic woodland belts. The lakes are shaped to appear as sinuous rivers with views across them to features such as the Boathouse and Swiss Bridge. 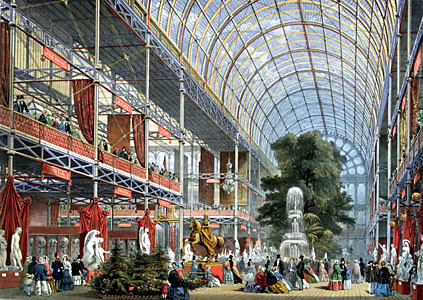 In 1851 Paxton designed the Crystal Palace for the 'Great Exhibition'. All of the 245 plans for the main Exhibition Hall in Hyde Park had been examined and rejected. Paxton was visiting London at the time and heard about the difficulties. Within a few days he delivered a design - a vastly magnified version of his lily house at Chatsworth. It was cheap, simple to erect and remove and could be ready quickly. Its novelty was its revolutionary modular, prefabricated design and use of glass. It took 2,000 men eight months to build the 'Crystal Palace', which was more than 1848 feet long and 456 feet wide and 135 feet high. Despite widespread cynicism amongst press and public, when the Great Exhibition opened in May 1851 it was an enormous success. In October, Paxton was knighted by Queen Victoria. 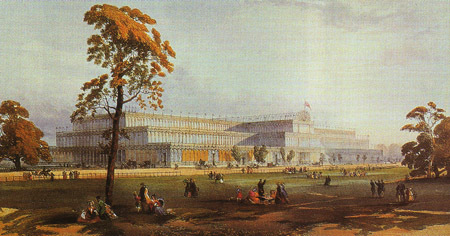 When the exhibition finished, the Crystal Palace was re-erected in Sydenham in south London, where it remained popular until it burned down in 1936.